Lovelies in my Life : A Splurge or a Steal! A Splurge or a Steal! This is just like a magazine ...only real life! 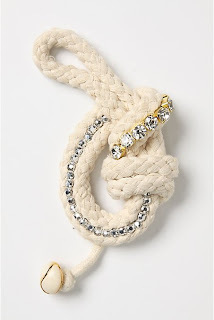 I got myself this really cute knotted rope bracelet from American Eagle a couple of weeks ago for $12.50 and today I saw a very similar version at, since we're so tight we'll just call it "A", for $118! Rock! !